Music TV Channel / RU.TV is a Russian music TV channel. It is a video version of Russian Radio. The owner is the Russian Media Group. Founded on October 1, 2006. The founder was Sergei Kozhevnikov. 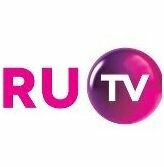 Since January 18, 2017, the RU.TV channel has switched to the 16: 9 broadcast format and launched the version in the high definition standard (HD). RU.TV has several terrestrial, analog frequencies in Russian cities and is one of the TV channels where advertising continues after the entry into force on January 1, 2015 of the law on its prohibition on pay-TV channels.